When I took these out of my fridge, I noticed I was missing one tomato. If you've noticed, I updated the look of the blog. I was having a difficult time with the old hand-written template, and decided to just use one of the built-in ones. Of course that turned out to be a few hours of wrangling the html and css to customize it correctly anyway! Hopefully this new template will last for a bit. 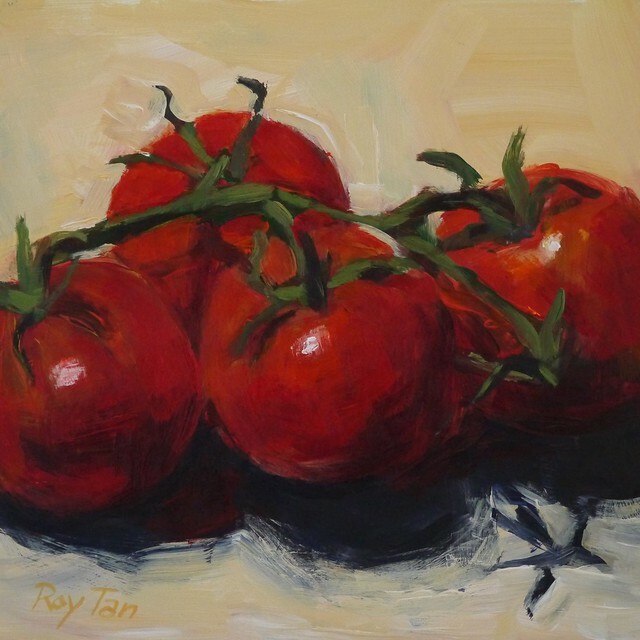 Nice big red tomatoes! Congrats for the new layout. Happy new look!